Illinois State Police investigating the apparent stabbing death of a 40-year-old Wisconsin truck driver on a Chicago-area expressway say they believe the man may have been in an altercation with another trucker. 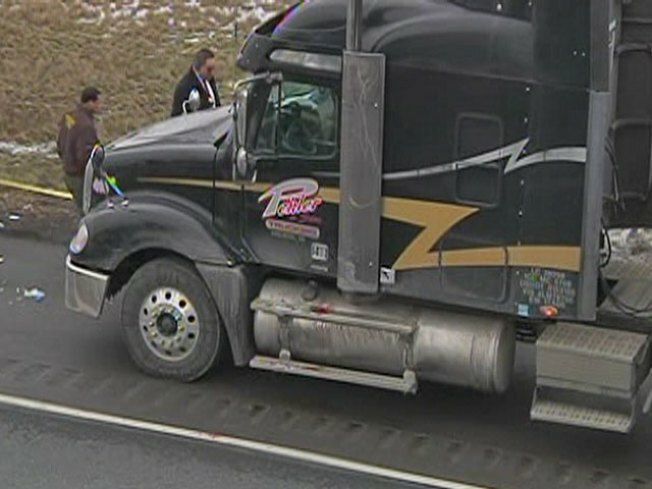 Illinois State Police investigating the apparent stabbing death of a 40-year-old Wisconsin truck driver on a Chicago-area expressway say they believe the man may have been in an altercation with another trucker who is still at-large. The man was found lying by his parked rig near Tower Road on the outbound Edens Expressway Friday morning. He had three stab wounds and blood was found on his truck's door and the ground beside him. Emergency personnel performed CPR on the driver before taking him to Highland Park Hospital, where he later died. The Lake County Coroner, Dr. Richard Keller, did not immediately release the identity of the driver, saying only that he was from Sparta, Wis.
Officials from the trucking company also refused to identify the driver pending notification of the man's family, said Cathy Diebold, safety director for Pehler & Sons in Arcadia, Wis.
Police are reviewing roadway and surveillance cameras for information, but so far do not know who the other driver may have been. Anyone with information on the case should call Illinois State Police at 847-294-4400.